I have many fruit trees planted in my garden, but I love to place some in pots too. 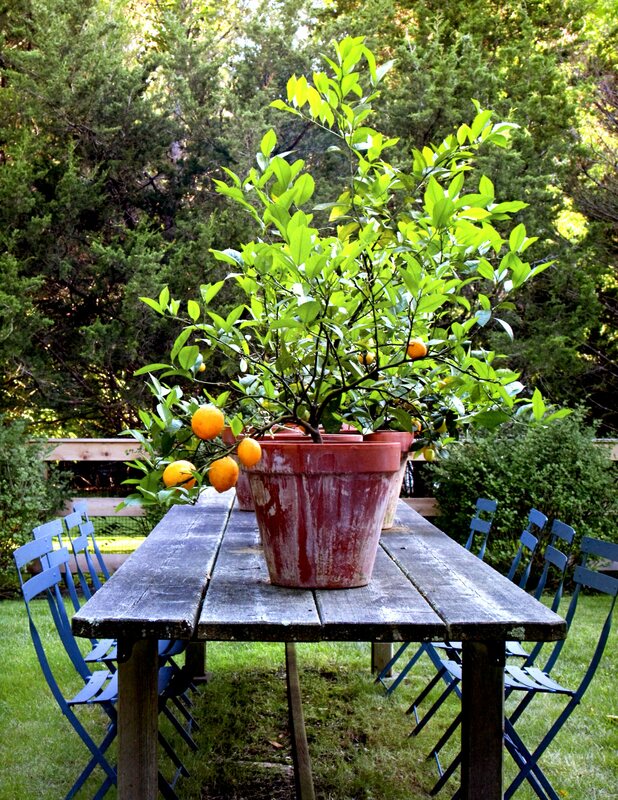 A potted lemon tree is also a good option if you have limited space. Whether you are placing your potted lemon tree on a patio or down the side of your house, today I have some simple tips to follow for a happy potted tree that will give you lots of lemons. Because of the new various breeds of lemon trees available in most plant nurseries you can find a lemon tree suitable for a large pot. There are many new dwarf varieties available for a patio or balcony. The Pick n’ Eat ‘Lemon Eureka’ tree is mostly a thornless lemon tree variety that has fruit throughout the year. The Meyer Lemon tree is less acidic than other lemons. Both of these plants are ideal for growing in a pot on your patio. 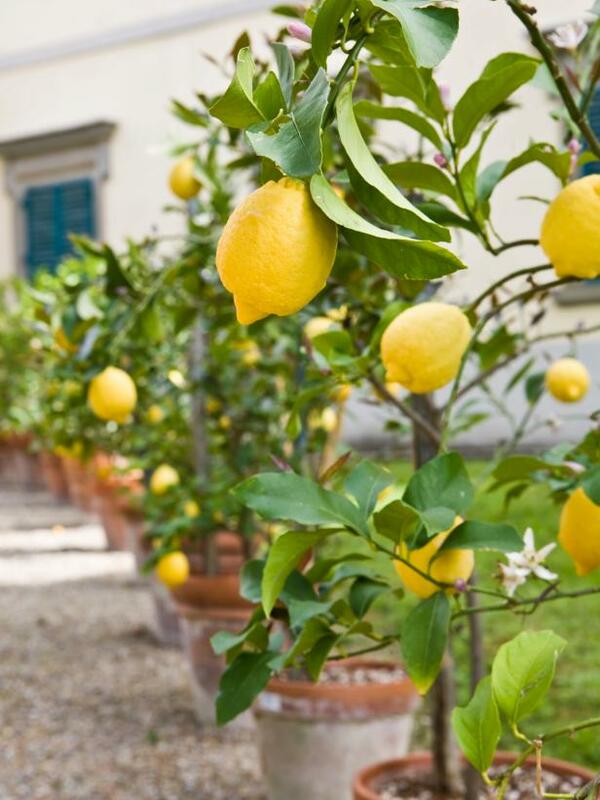 Select a large pot to grow your lemon tree. It is easier to put your pot in a sunny position first, once you fill it up it will be really hard to move. Make sure your pot has drainage holes. I also like to fill up the bottom of my pot with some stones, this way the lemon tree won’t be sitting in water and will have excellent drainage. Start with a good quality potting mix from your local nursery, this will give your lemon tree a great start. A good potting mix will have an Australian stamp of approval on the packaging. 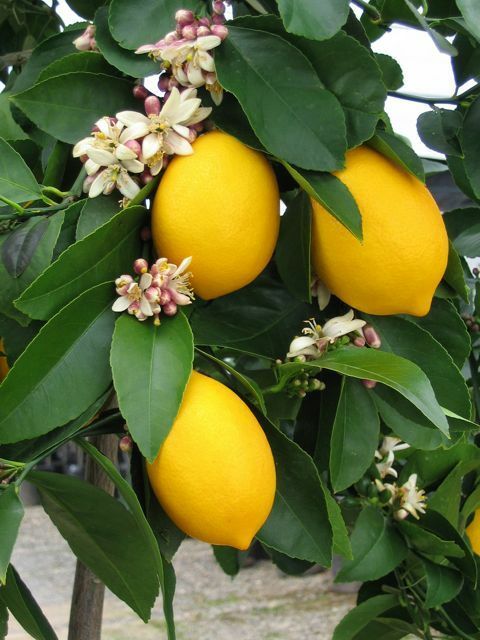 It is recommended to use a Citrus tree slow release fertiliser for your lemon tree. Water in well after applying fertiliser. Your potted lemon tree will need regular watering. Try not to let it dry out, keep the soil slightly damp. Place a layer of mulch over your potted lemon tree, this will help it to stay moist longer. Place your lemon tree in a good quality potting mix and a large pot. Ensure your pot has drainage holes. Elevate your pot or place a saucer under the pot. 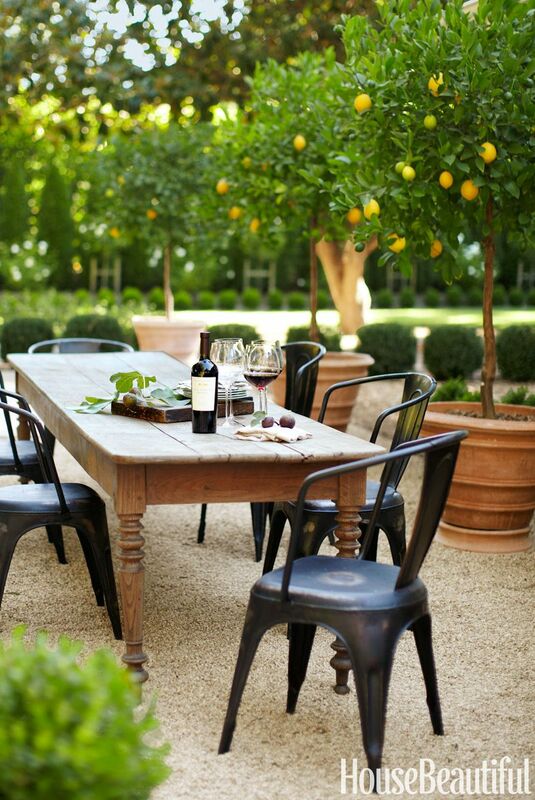 Water your potted lemon tree two to three times a week, maybe even more in hot weather. Apply a slow release citrus fertiliser.